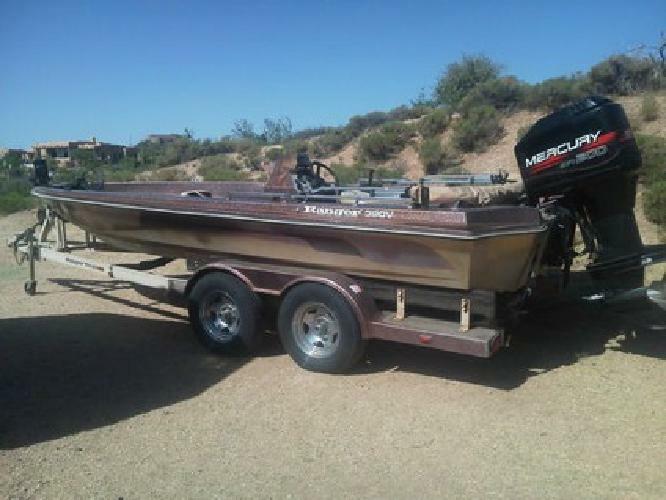 Ranger Bass Boat. Newer Mercury 200 EFI outboard runs great. 2 brand new Interstate marine batteries. Solid boat, super clean hull. Seats are in good shape, but the boat needs new carpet since it's been sitting out in the weather for a year. Also has extra seats and seat covers. Bimini top.